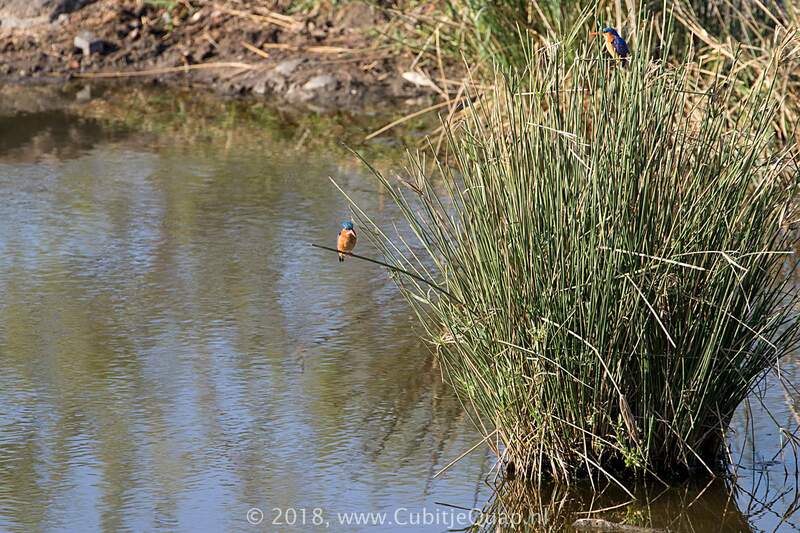 This species differs from the similar but smaller African Pygmy Kingfisher in having the turquoise-and-black barred crown extending down to the eye, and in lacking the violet wash on the sides of the head. 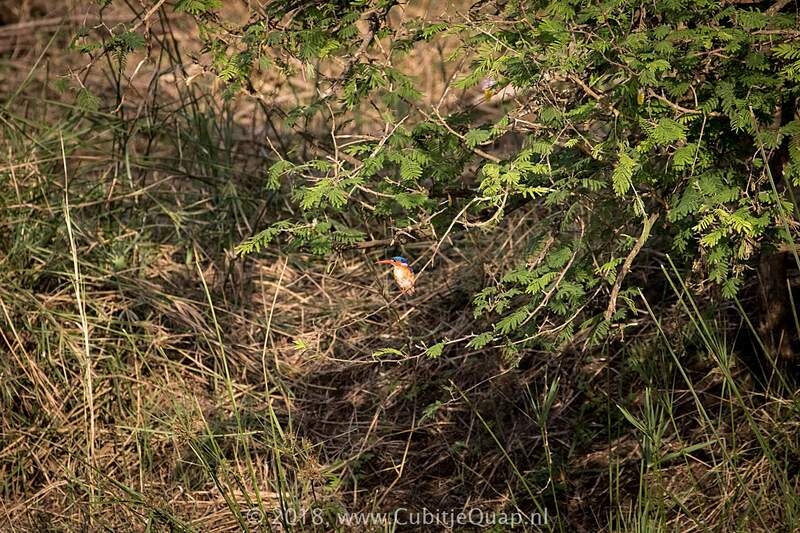 In northeastern Namibia, on the Okavango River and Panhandle, a white-breasted form occurs that has a much paler blue back and crest. 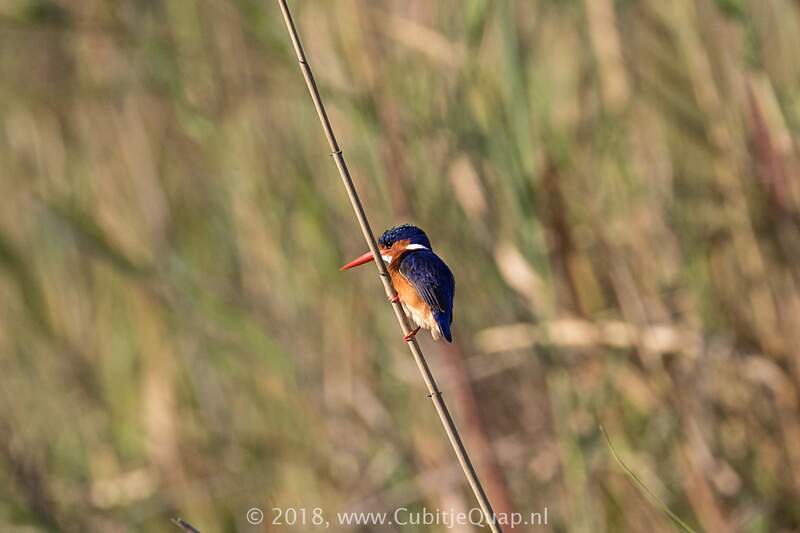 Juvenile has a black bill, which might lead to confusion with Half-collared Kingfisher, but Malachite Kingfisher is smaller, and has a dark back, chestnut, not blue, cheeks and reddish brown underparts. Lakes and dams, and along streams and lagoons. A high-pitched 'peep-peep', given in flight.